Fig. 3. Dose-response curves for systemically administered SCH-23390 antagonism of amphetamine-induced stereotypy in nonsensitized (acute) and sensitized (expression) mice and of amphetamine-induced sensitization. greater affinity may account for the SCH-23390 dose differential required to block induction. 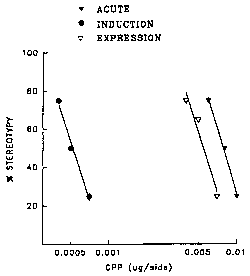 Even though the relationship between sensitization and the subjective effects of the stimulants is not clear, it is worth noting that the D5 receptor has recently been specifically implicated in drug-discrimination studies of cocaine (36). Figure 4 represents the dose-response curves for the NMDA antagonist CPP against the three effects of amphetamine. Here, we found that the ED50 to antagonize the acute effect was 3.0 (2.1-4.4) mg/kg, and the ED50 to block expression was 2.5 (1.3-4.8) mg/kg; these values are not significantly different. 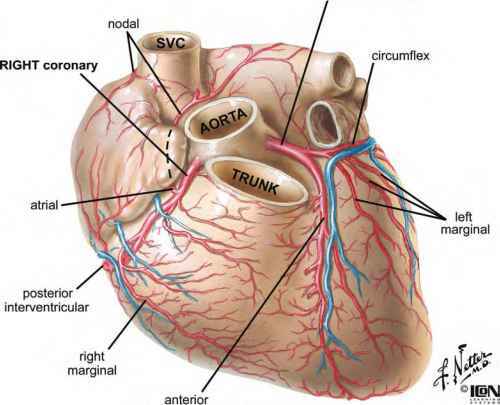 The ED50 to block induction, however, was 0.82 (0.4-1.6) mg/kg, which is significantly different from the other two ED50s. These data imply a distinction between the NMDA pathway involved in the induction of sensitization and the pathway that mediates both the acute response and the expression of sensitization. 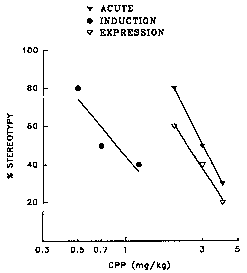 That a different dopamine pathway for induction exists is consistent with the findings (above) for the quantitative character of blockade of induction by the D1 antagonist SCH-23390. These observations on the differential effects of the antagonists, coupled with those described above on the ability of morphine to promote stimulant-induced induction even in the absence of stereo-typy and on the enhancement of stereotypy by the muscarinic antagonists without affecting induction, further bolster the conclusion that the dopaminergic pathways that subserve stereotypy differ from those that support the induction of sensitization. Fig. 4. Dose-response curves for systemically administered CPP antagonism of amphetamine-induced stereo-typy in nonsensitized (acute) and sensitized (expression) animals and of amphetamine-induced sensitization. Fig. 6. Dose-response curves for systemically administered bicuculline antagonism of amphetamine-induced stereotypy in nonsensitized (acute) and sensitized (expression) mice and of amphetamine-induced sensitization. two responses, because the drug is ineffective against the nonsensitized response and only partially effective in sensitized animals. 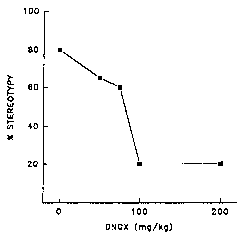 This differential effect of DNQX is not unique because identical results have been obtained with the use of calcium-channel blockers (30), nicotinic antagonists (26), and protein-synthesis inhibitors (25). Furthermore, in data not shown, combinations of these partial antagonists with DNQX also exhibited the same limited efficacy. These results add additional support to the interpretation that the response to amphetamine in sensitized animals consists of two distinct components— one derived from the normal pathway, the other from a pathway associated with sensitization. 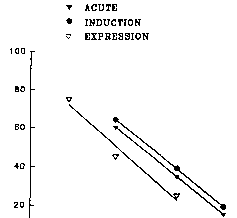 The dose-response curves for bicuculline, the GABAa antagonist, are shown in Fig. 6: The ED50 for the antagonism of the acute amphetamine response is 0.83 (0.67-1.02) mg/kg; for induction, 0.84 (0.68-1.03); and for expression, 0.75 (0.61-0.92) mg/kg; none of these values are significantly different, so all three effects involve the activation of a common GABAA pathway. Although we previously reported limited quantitative data on the GABAA involvement in the motor effects of the stimulants, the present detailed data add further to our understanding of the fundamental role of the GABAA system in the circuits that produce the three effects of the stimulants. Fig. 7. Dose-response curves for intrastriatally administered CPP antagonism of amphetamine-induced stereotypy in nonsensitized (acute) and sensitized (expression) mice and of amphetamine-induced sensitization.